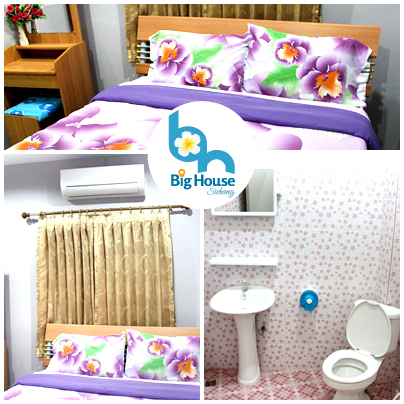 Big House Sichang offers 23 rooms for rent (Single and double beds). 146 Moo3 Baan Tavang, Atsadang Rd., Tha Devavong, Koh Sichang, Chonburi 20120 Thailand. • Victory Monument - Sriracha Pier (Chonburi) by Van. • Ekamai Bus Terminal - Sriracha District (Chonburi) by Coach bus, then hires a motor-tricycle (Tuk-Tuk) to Sriracha pier and takes a shuttle boat to Koh Sichang (Lower Pier). More details, please call us: +668-1654-1466, +668-5126-5358. 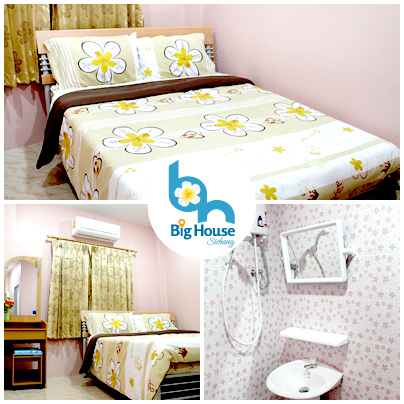 Big House Sichang : Tidy close to attractions, Best rate guarantee.